When you think about taking a vacation, you look forward more to getting to the destination, not the journey. You might be taking a plane, a bus, or driving your own car to your destination, but all you’re really looking forward to is getting there and not traveling any more. At Ground Travel Specialist, we believe that the journey should also be comfortable, and we’ve done our very best to make our charter buses as luxurious and enjoyable as possible. With a bus from GTS, you won’t have to worry about driving to your destination or sitting in an uncomfortable seat for hours on end. You might be heading to the casino with a group of friends, or you might be taking the entire extended family to Disney World® – no matter the distance or number of passengers, we’ll take care of everything. The forward-facing seats on all of our buses make for a comfortable ride over every mile, and there are reading lights for those who want to take their favorite book along, as well multiple video monitors where you can watch your favorite movie or put something on to keep the kids entertained. 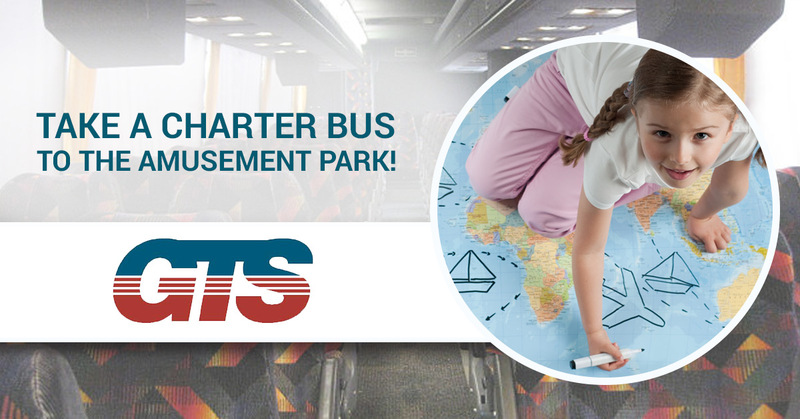 Renting a charter bus takes the stress out of getting to your destination, and you won’t have to worry about missing a connecting flight, or the nausea and motion sickness that can come with sitting on a plane or in a car for extended periods of time. Everyone will have the opportunity to sit in a comfortable seat, enjoy their own entertainment, or watch out the window as America rolls by. Contact us today to reserve your next bus trip!